Millennial style at Marriot Moxy. 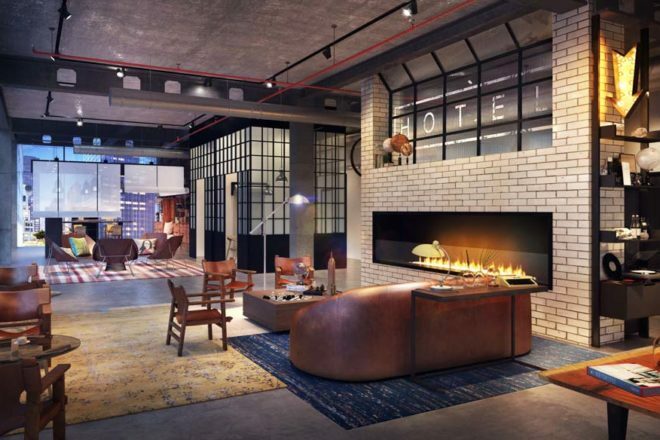 Hotel brands are recognising a new breed of travellers. They’re hip, tech-savvy and they want to really connect with their travel destinations. With an influx of new stay experiences designed to cater to these millennials, it’s a trend that just might stay. The buzzword in travel right now is ‘millennials’: the generation of nomads born from 1980 until 2000 spending their savings (which previous generations might have used for a house deposit) on wandering the world in search of authenticity, creativity and adventure. They are educated, globally connected and inquisitive, searching out genuine experiences that allow them to really get under the skin of a destination rather than just ticking it off on a list, and everyone from telecommunications giants to leading hotel brands are aggressively wooing them. This growing, increasingly influential segment of the market currently represents 22 per cent of more than one billion travellers with predictions they will increase their travel spend by 40 per cent in coming years*. The list of prerequisites required to cater to them includes prime location, cutting-edge technology, multi-purpose spaces, unique inclusions and design, and value for money. The Capri by Fraser brand, launched in 2012, recently opened its sixth property to meet the specific demands of the millennial. The Barcelona hotel has a raft of technological efficiencies like iPad-activated check-in, e-Concierge, e-Print facilities and the absolutely essential free high-speed wifi access. There are also communal mobile work spaces, a cute Spin & Play concept that provides laundry facilities with the latest games consoles and kickboxing, all-day dining options and a ‘pocket of surprise’ upon arrival that includes a voucher for drinks, a local tour, yoga session or a barista class. The brand will expand into 10 new cities over four years, resulting in 19 properties by 2020. 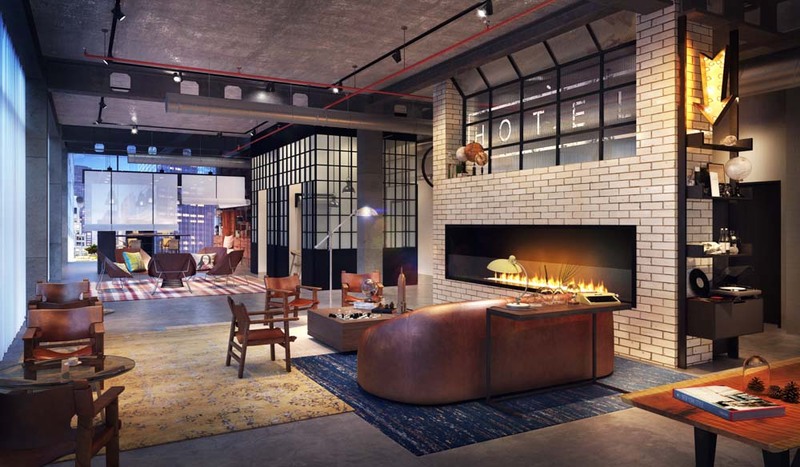 AccorHotels is also pulling out all the stops with its recently launched Jo & Joe brand, which it says will provide a ‘vibrant living space designed to meet the expectations of millennials and all those who value sharing, spontaneity and experience’. The expansion is a priority, with a planned 50 properties by 2020 in busy city-centre locations including Paris, Bordeaux, Warsaw, Budapest and Sao Paulo, close to public transport and less than 15 minutes from major points of interest. The Jo & Joe open-house concept invites the kind of local interaction craved by Tripsters, as the brand has christened them. There’s a constant roster of activities, from concerts to yoga classes and DIY workshops, and lots of communal spaces including The Happy House, a private area where guests can relax, work, cook or wash their clothes just like at home. Flexible accommodation options include Together, a modular shared sleeping space with private lockers, reading lights and USB ports, and Yours: more traditional rooms and apartments for up to six people. These brands join many others launched in recent years by big names groups: Canopy by Hilton, Marriott’s funky Moxy offering, Elements by Starwood, Aloft (also by Starwood), and Mama Shelter. Even budget provider Best Western is getting in on the action with GLo, which will have smaller guest rooms, flexible communal spaces, smart technology and affordable tariffs. And with more Tripsters coming into the market, there’s sure to be more where that came from.